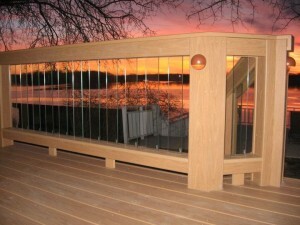 If you want a deck built, Creative Wood Products is where you want to be. Deck building is our bread and butter. Through providing superior craftsmanship on custom built decks for over 25 years, we have created a reputation as one of the top trusted deck building franchises in the area. No matter the size – big or small – we can create the deck you’ve always dreamed of. Not only will we design and construct your deck, but we will ensure its longevity by providing you with information on how to properly maintain your deck and fend off mother nature. Perhaps you want a deck but don’t think you have the house or landscape to pull it off. Let us be the judge of that. Give us a call and we will have one of our specialists out to your home to provide you with a list of options.